Rabbi Dovid Tiechtel possesses a unique library of Hebraica. It contains many volumes of Talmud, Halacha (Jewish Law), Jewish thought and mysticism. 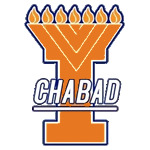 In addition, it is one of the largest libraries of the collected works of the Lubavitcher Rebbe, Rabbi Menachem M. Schneerson located in Central Illinois. There are many books in English and Hebrew. The world has primarily heard of Rabbi Schneerson as a great leader and motivator; but no less central to his personality is his revolutionary philosophy and approach to life. Indeed, from his teachings sprang the amazing reach of his influence and the legendary devotion of his followers. Since Rabbi Schneerson accepted the leadership of Chabad in 1950, more than 200 volumes of essays, letters and talks were published. They pertain to and illuminate virtually every area of Torah (the vast body of wisdom and law deriving from 3300 years of Jewish study and application of the Divine word revealed at Sinai). In addition, there is a vast amount of "unpublished" transcribed talks. Much of this vast body of knowledge is contained within the library.